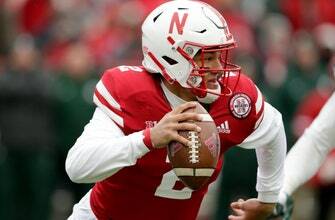 The Huskers, who play their spring game Saturday, are projected to be one of the most improved teams in the nation after going 4-8 in Frost’s first season. They started 0-6 and then won four of their last six. The last two losses were by five points at Ohio State and by three at Iowa on a last-second field goal.